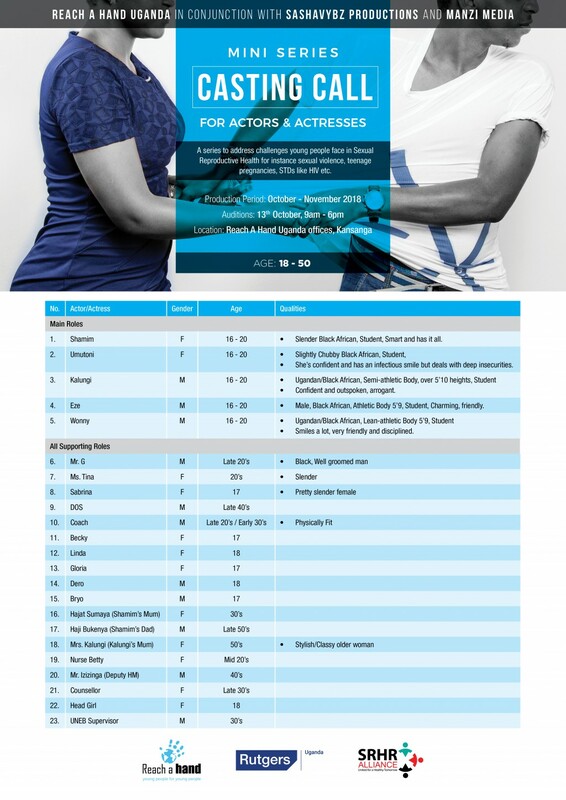 Are you an actor or actress between the ages of 18-50? We are looking for you to audition for a role in a mini series to address challenges young people face in Sexual Reproductive Health for instance sexual violence, teenage pregnancies, STDs like HIV, etc. The Mini Series is a Reach A Hand Uganda production in conjunction with Savy Filmz and Manzi Media. The mini series will be aired on a leading Television station in Uganda and internationally.